I know I said before that we are really trying to get healthy in our family so I am trying to make things that are low-calorie but don’t taste low cal, like the Ranch Dip with Greek Yogurt. This is it! 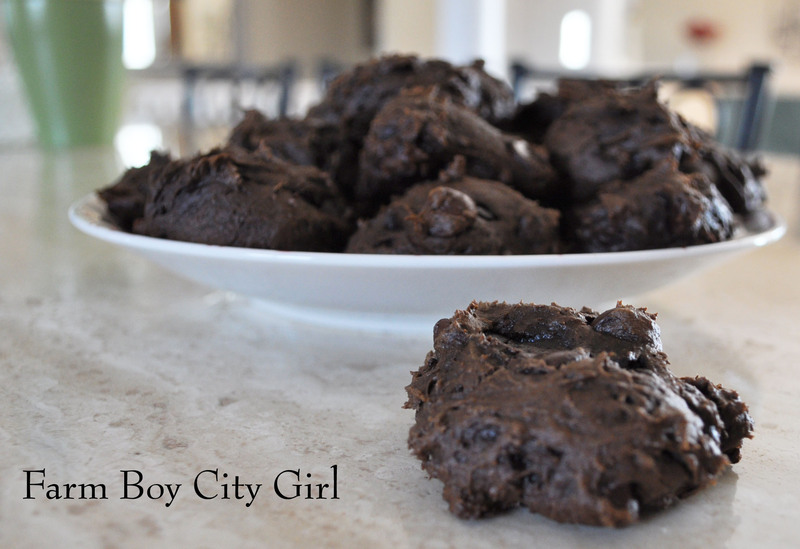 These cookies are awesome and without using the oil and eggs you cut a ton of calories.All you need is a box of cake mix, a can of pumpkin and chocolate chips. I used chocolate cake mix because I didn’t think my girls would eat them if they saw the orange color (if you use white cake mix). 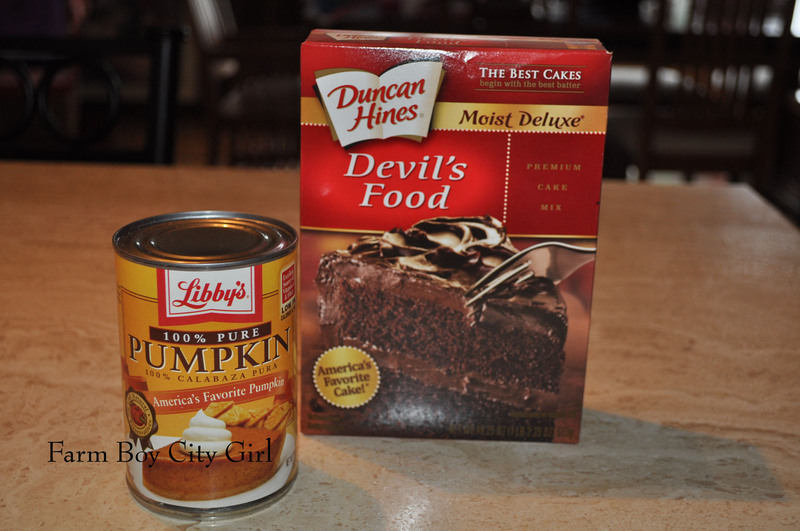 Mix the pumpkin and cake mix together. 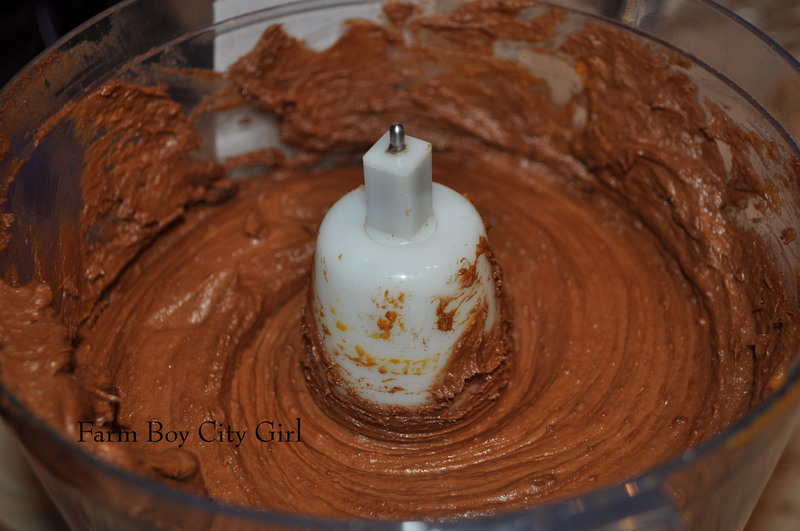 I did use my food processor because mixing it by hand was taking too long. 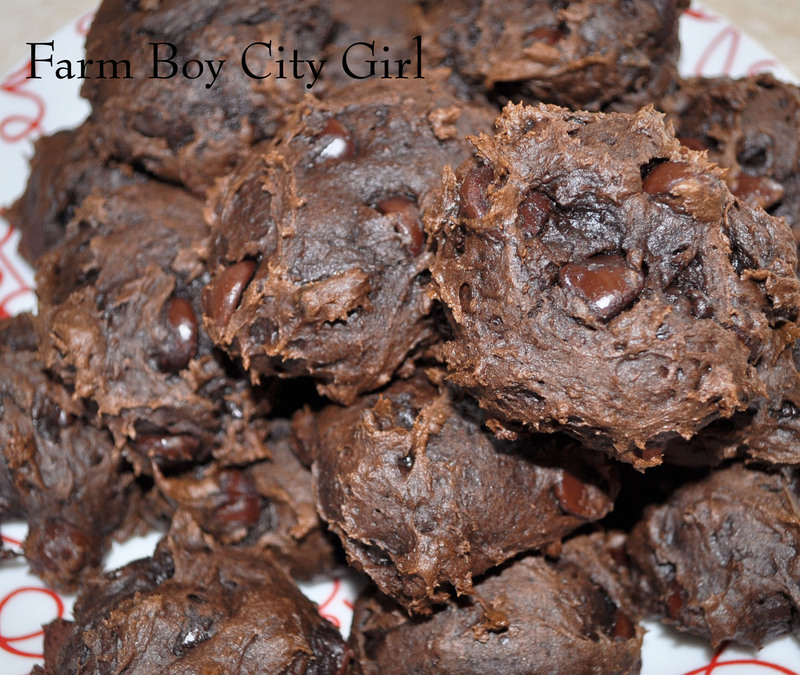 Once mixed add as many chocolate chips and you want – I only used 1 cup of dark chocolate chips. Bake at 350 degrees for 10-12 minutes. They are really moist and have great flavor…you would never know they were made with pumpkin. You can mix it up with different cake mixes and chips. White mix with butterscotch chips sounds yummy! My girls actually ask for the “chocolate cookies”! We store them in the freezer but they don’t last long. 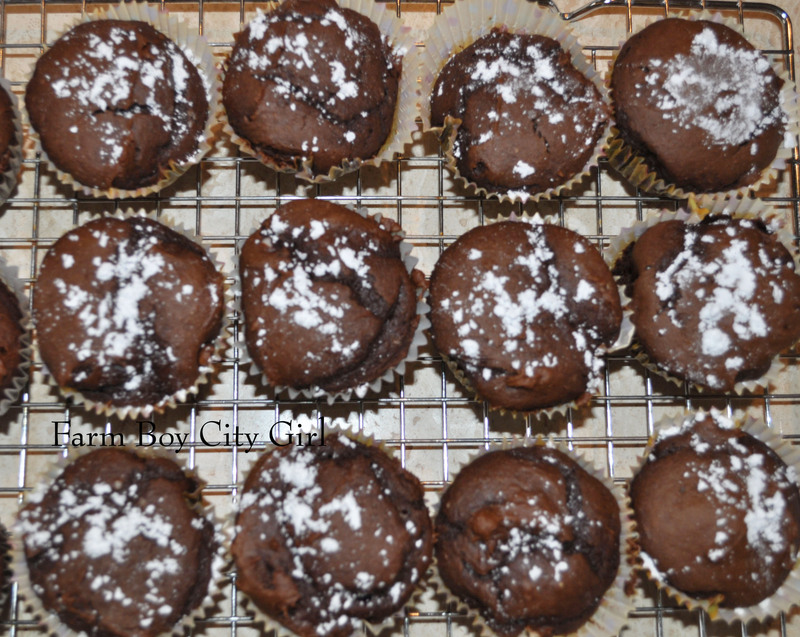 You can also make muffins the only difference is you bake at 350 degrees for 20-25 minutes. Mine took 25 minutes until the toothpick pulled out clean. 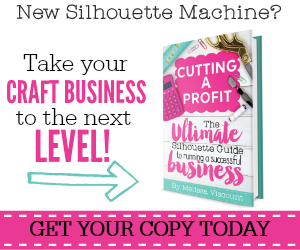 We all need our chocolate fix and this is a great way to get it! I think I will try some other things with pumpkin and see how they turn out. Let us know if you have any great ideas! We would love to hear them. This entry was posted in Food and tagged Baking and Confections, Cake, Chocolate, chocolate cake mix, Chocolate chip, chocolate chips, chocolate cookies, Cook, Cookie, Healthy Cookies, home, how to, how to make cookies, Pumpkin. Bookmark the permalink. AUGH! So delicous. Salivating, lol. Thanks for the delectable post! These look so good! And so simple! Who knew it could come from just a cake mix + pumpkin?? LOVE these! They really are. Try them and let me know what you think.